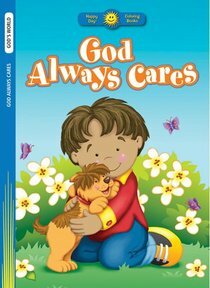 :Fun-to-color pictures and Bible verses show kids all of the ways God shows His love for them. This 16-page coloring book includes Bible verses and fun illustrations. About "God Always Cares (Happy Day Colouring & Activity Series)"